The faster your business can locate, gather and share information, the more productive and competitive you can be. That’s why small and medium enterprises are increasingly upgrading to a unified communications (UC) system, which can improve customer service, streamline product development and speed response to new opportunities. 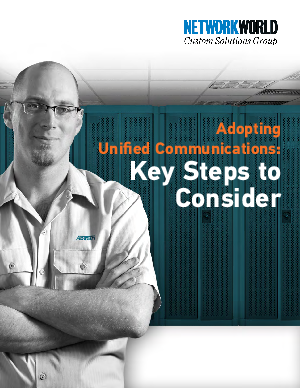 Learn the key steps of UC adoption, including the pros and cons of upgrading gradually or all at once, and tips on assessing the TCO and ROI of a UC solution.